The remarkables ways that sleep deprivation influences brain health. themodelhealthshow.com/betterbrain ⇐ Take the quiz to test your cognitive function! 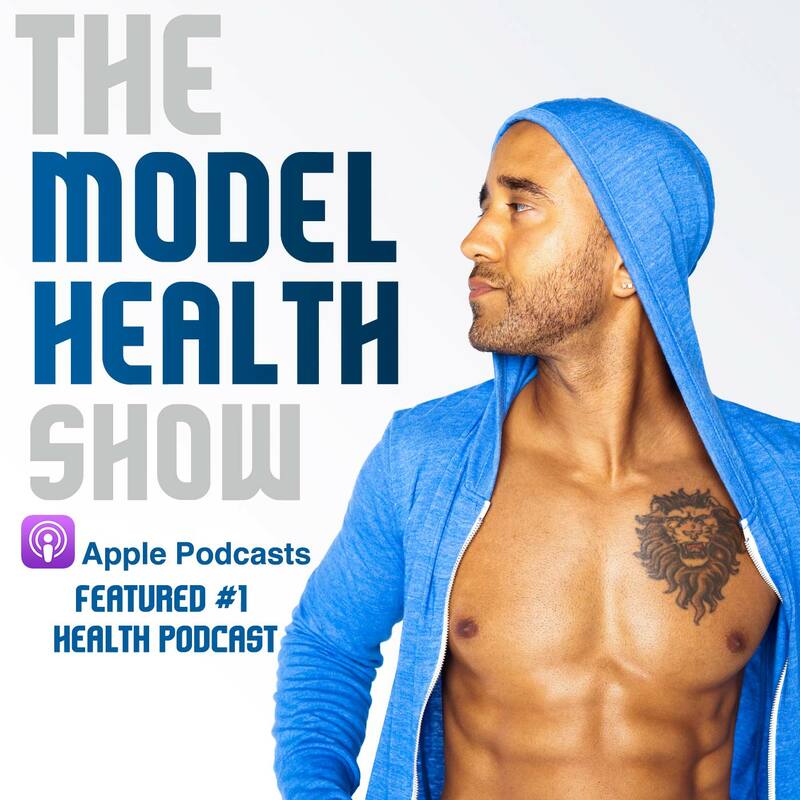 Shawn Stevenson: Welcome to The Model Health Show. This is fitness and nutrition expert, Shawn Stevenson, and I'm so grateful for you tuning in with me today. This topic is incredibly timely, and my guest today, he regularly asks his patients what illness they fear the most. And it's not heart disease, it's not cancer, it's memory loss. And their greatest fear is not those other things that are very pervasive in our culture today. It's not remembering who they are, it's not remembering the people that they love, and isn't that understandable? I think that that's what really makes life worth living is our memories, and that fear is growing because this issue is growing, the issue with dementia and Alzheimer's. And I don't think a lot of people are aware of this fact that the annual bill- and my guest again talks about all of this stuff, and I learned from him just how strong the situation is currently. But the annual bill for dementia care tops at $215 billion a year, which is more than cancer and more than heart disease, and that number of victims of Alzheimer's is expected to increase by 400% just in the next couple decades. We have to do something about this, and again I said this was timely because I was just actually on The Dr. Oz Show doing a segment a little while back, and depending on when this is getting released, I want to make sure that you're able to tune in and check that segment out as well, talking about sleep in relationship to Alzheimer's disease. Just funny enough, and then I got connected with this incredible gentleman we have on the show today. And one of the big issues that we talked about is the detoxification of the brain regarding sleep, and also insulin resistance, and we're going to dive into both of those things and so much more today. And the best way to stay up to date to know when the Dr. Oz segment is going to air, make sure you're following me on social media because that is like minute by minute, whereas the show might be sometimes weeks in advance. So I'm @ShawnModel on Instagram, and The Model Health Show on Facebook. So make sure you're following me there and stay up to date. Now before we get to our show topic, I want to talk about one of the best ways to have better brain health is to actually have better digestion and elimination. Now these things seem to be unrelated, but they are significantly related. And researchers at Harvard Medical School talk about this gut brain connection in terms of how much mental stress affects the function of the gastrointestinal tract, and how much stress in the gastrointestinal tract impacts our brain. Now poor elimination is a significant stressor that can lead to a whole host of problems downstream and upstream, and little do most folks know that our standard toilet can be a huge culprit behind sluggish and incomplete elimination. Now this is because we have this puborectalis muscle that actually loops itself around our colon to basically make sure that you're not just dropping off poop as you're walking down the street, alright? You're not dropping off cargo like a horse, alright? You are not a horse, you are in fact human, and we have a certain digestive structure to make sure that we eliminate when we want to eliminate, and that we keep things nice and tight and steady when we don't. Now here's the issue, the standard toilet does not allow for the puborectalis muscle to completely relax, and this is leading to a whole host of issues like constipation, hemorrhoids, diverticulosis, and even high blood pressure can be caused by straining on a conventional toilet because you're not in the proper position that human beings evolved for hundreds of thousands of years in this current form, homo erectus, to squat down to completely eliminate, for that muscle to completely relax. If you're not getting in that position, you are in fact forcing and causing some potential issues. Now the solution, make sure you're getting yourself in a natural proper position for elimination. Am I asking you to perch up on your toilet like a crane? Like a peacock? I'm not asking you to do that. I don't even know if peacocks perch up on anything actually. But I'm telling you that you need to get yourself a Squatty Potty, and this is an incredible invention that fits right onto your already existing toilet, it tucks right under, and the Squatty Potty is something that I literally give as gifts. I just sent one out even two weeks ago to a friend in another state as a gift because I absolutely love this and I love the fact that it helps people so much to improve their elimination. And it will blow you away just how much better you feel by getting yourself in the right position. So I want you to go to www.SquattyPotty.com/model. You get 15% off all of the Squatty Potties there and you get free shipping. That is the lowest price you will find anywhere. By the way, they are everywhere, alright? Bed Bath and Beyond, to Amazon, to you name it. Alright? I was even on family vacation and I went to like a little tourist store where they've got little stuff for the city. It was Destin, Florida, little keychain stuff, there were Squatty Potties just stacked up, alright? Apparently even traveling, pooping can be an issue, alright? So they have the basic eco model, bamboo if you want to get fancy, they also have these new kids' Squatty Potties which are so cool. They call it the Squatty Pottymus. Alright? It has like a hippopotamus face. It's really, really nice, and several others. So do yourself a favor, improve your elimination, and improve your health overall. Go to www.SquattyPotty.com/model, 15% off. Now let's get to the iTunes review of the week. ITunes: Here's another five star review titled 'Thank you' by CarneyL. 'Shawn, thank you for your podcast. I am just getting started on our family's health journey. I am motivated by my two year old who had a stroke at birth. I want to give him his best fighting chance, and I believe nutrition and eliminating as much toxins as I can from his environment will give him the tools he needs to succeed. Shawn Stevenson: Wow, wow, wow, wow. That was such a powerful story, and thank you so much for taking the time to share that. I appreciate it immensely, and it just- it means the world to me. Thank you for making me a part of your story, and sending you and your family a lot of love and just encouragement on the progress because things are only going to get better. And everybody, thanks for popping over to iTunes and leaving the reviews. I truly appreciate it. Keep them coming if you've yet to leave a review, pop over to iTunes and leave me a review. And he's helped motivate people, tune up their brain, their heart, and sexual performance. Association, the American College of Nutrition, and the American Academy of Family Physicians, and he is a clinical associate professor at the University of South Florida. And his research focuses on the impact of lifestyle choices on heart health, brain function, and aging. Plus numerous scientific articles as well, and his work has been viewed by millions on PBS, The Discovery Channel, The Today Show, and over 500 media interviews. And he continues to see patients and publish research from his medical clinic in St. Petersburg, Florida. And I now would like to introduce you to the one and only, Dr. Steven Masley. Welcome to the show. Dr. Steven Masley: Oh I'm delighted to be here with you. 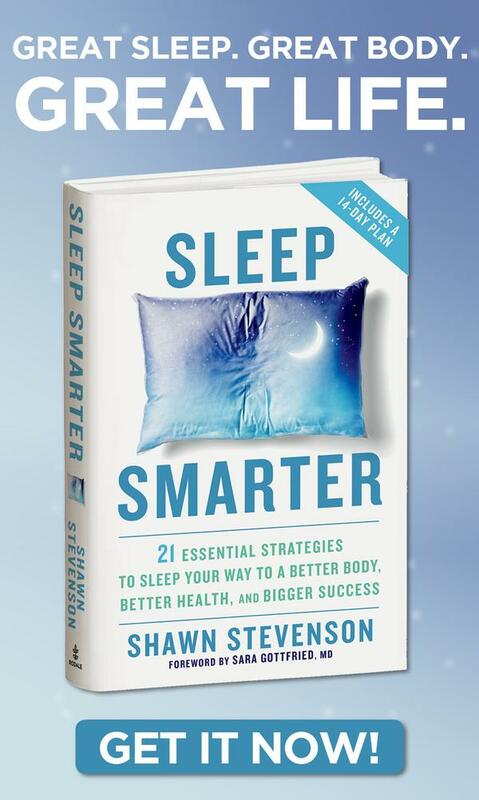 Shawn Stevenson: So happy to have you, and I am just loving your book. It is such a great comprehensive overview of this subject matter and so much more. Before we get into that though, I would love to talk a little bit about your superhero origin story. Alright? I want to know what got you interested in health and wellness in the first place. Dr. Steven Masley: I grew up as a child- my dad was a surgeon, and he was at the hospital all the time. To see him, I would literally ride my bike- I couldn't drive a car, I'd ride my bike, I'd find him doing surgery, and I would usually have to go into the OR with scrubs on to talk to my dad. And I mean people adored him. They thought he was the greatest doctor on the planet, but I thought as a child, seeing people in the hospital being cut on and then watching them in the Intensive Care Unit after, I thought we tortured people. I wanted to prevent people from needing to go to the hospital and needing a surgeon like my dad. So yes, I think hospitals can do great work, but my goal, my dream is that people don't need to go to the hospital, and they feel fantastic every day, and they're in optimal health. Shawn Stevenson: Wow, that's so profound. I love it, but I'm so grateful that that put you on this path, and you've literally impacted the lives of millions of people, and I'm so grateful to get to know you now, and to have you on the show to talk about this subject matter. So let's kind of dive right in and talk about some of the things you cover in the book, and this is the book, 'The Better Brain Solution,' it's your newest book and you talk about insulin resistance is the number one cause for memory loss and cognitive decline, and I bet a lot of people would be shocked to hear that. First of all, what is insulin resistance? And how does this relate to the health of our brains? Dr. Steven Masley: So insulin resistance sadly is becoming really common. It's 50% of baby boomers and 35% of all adults have the number one cause for memory loss and heart disease. Dr. Steven Masley: So what's insulin resistance? Think insulin is the hormone that tells your body to store energy. You eat something and it tells you to pack that energy into your cells, like glucose and carbs. So you store it and you're preparing like for not having food the rest of the day or the next famine. The problem is if we keep eating refined carbs like bread, and sugar, and flour, and rice, and pasta, and potatoes, we fill up and our cells are full of energy, and when they're full of energy eventually they stop listening to insulin. So they become insulin resistant because they're full. They can't store any more. We haven't worked out, and we ate the wrong foods. But here's the problem with brain cells. When brain cells stops listening, that means the sugar in your blood can't get into the brain cell, and the brain cell doesn't store much. So they literally start to show dysfunction and die off, and when people chronically have insulin resistance, like half the baby boomers and a third of adults, their brain cells are literally shrinking from that ongoing state. So it's completely dysfunctional for our brains. It's really common and it's killing us, and as you said appropriately, the risk of Alzheimer's disease and memory loss is rising rapidly and we've got to do something. It's a crisis. Shawn Stevenson: Wow that is really, really profound. You know people hear about- just even hearing the word 'insulin,' we automatically think about diabetes. We don't tend to think about our brain. And anything that affects our blood is going to affect our brain if you think about it, just even logically. So what are the early signs of insulin resistance? Let's talk a little bit about that because you just said the percentage of folks right now in our population that have this issue. Millions don't know, but what are some of the early signs? Dr. Steven Masley: Well you're absolutely right, millions don't know they have this and that's really super scary because it can damage our brain. So the first sign is an expanding waistline. Then as our waistline goes up, we might have elevated blood pressure. It's not even hypertension, it's just elevated. Our healthy HDL cholesterol, the clean-up truck for our arteries starts to drop, and the triglycerides- the bad form of cholesterol goes up. So we have this. And then after five to ten years of that, eventually of continued insulin resistance, we also call it metabolic syndrome, after years of that, eventually our blood sugar is high but by that point we've already grown artery plaque, we're already pre-diabetic, we've shrunk and injured our brain. I'd like people to identify this early, improve their brain function, and prevent memory loss. Shawn Stevenson: Yes, yes I love that. Okay so now the big question is- and just to dive more into this, are we actually able to reverse insulin resistance, and thus preventing memory loss? Can we actually effectively reverse this? Dr. Steven Masley: Yes. I mean it's really- it's not even that hard, it's just knowing what to do. Dr. Steven Masley: It's the right foods, it's the right activity, the right nutrients, avoiding some toxins, managing our stress. When we put the right steps together, when we do the right things together, we literally- within a couple weeks insulin resistance is gone. The body is already healing and improving, and our data from our clinic shows that we can really improve brain performance. Our average patient improves their brain processing speed by 25%. It's truly amazing. Shawn Stevenson: Yes, I stopped myself from clapping right now. I love that, and it's such a heartwarming thing to hear that we can get better. Now with that said, you mentioned that there are certain steps. And when I was reading your book, I actually was like, 'I hope he's going to say that one of these things isn't going to do the trick.' Like you actually need a comprehensive execution of these things. So let's talk about that. You have five specific steps that we need to improve brain function. So what are those? And what happens if we do just like one or two of them? Dr. Steven Masley: You're making a really good point here. So the five steps are add the right foods, there are specific foods we should add and some we should avoid. There's key nutrients our brain needs in order to function. It's just crazy not to get these easy to find nutrients. We want to be physically fit. It's incredible how important both strength training and aerobic training is to our brain. We need to manage our stress, and part of that is getting good sleep because if we don't manage our stress, it will literally shrink our brain. And there are some toxins we definitely need to avoid. Now you could do, as you said, any- you were alluding to this intuitively. Do one or two of those and you get a little benefit, but when you combine them all together, you get a big bang benefit. So the more steps you can follow at once, they act synergistically meaning they work a lot better together than they do alone. So that's- I think all the newest studies are showing, 'Oh you could exercise,' and they quibble over whether it does the right thing for your brain, but when you do all these five things at once, wow. And you talk about like that can literally negate all this other good stuff you're doing, and it's even in the domain of sleep for example. Like you can exercise- like we talked about on Dr. Oz, there is a certain time of day, if you exercise in the morning you can improve your sleep at night. But if you do that first piece and then you're up at night like watching YouTube videos and drinking Coca Cola, it doesn't matter if you exercised in the morning, you know? It kind of negates the whole benefit in the first place. So I would love to start with that first piece and talk about some of these foods, because you did a great job just like encapsulating how these things work and why they matter. So let's cover five or six of the excellent foods. Shawn Stevenson: That you talk about for our brain that you cover in the book. Dr. Steven Masley: Well there are some plant pigments that are just so important. I mean, I have to say number one is green leafy vegetables. People who eat one cup of green leafy vegetables, their brain is eleven years younger than someone who doesn't eat them. Eleven years. I mean come on, you could find something green you like to eat if you want your brain to be eleven years younger. But other vegetables that are colorful like beets are super powerful, and boost the blood supply to your brain and protects it. All those pigments are great. I mean other- I mean we have things like chocolate. Dark chocolate and cocoa are good for your brain. Berries and cherries. They don't have a high glycemic load, they don't have much sugar, they're really good for your brain. So there's these pigments- and green tea is another awesome- like matcha tea is another really good pigment to protect your brain cells. And then we have some smart fats. You know our brain is mostly fat. A low fat diet may actually starve your brain. So olive oil, I mean the studies are really good that a few tablespoons of extra virgin olive oil, as long as you don't cook it at high heat and damage it, is good for your brain. Nuts. We should have one or two handfuls every day. Wild seafood like wild salmon, sardines, they're awesome. Avocado, and probably my favorite cooking oil is avocado oil. So I mean those are just examples of fats and pigments we want to add. And let me not forget to say spices and herbs. Because I'm a physician and nutritionist, but I also did a chef internship, and we want our food to taste delicious. And spices and herbs, curry spices, Italian herbs, garlic, ginger; they make your food taste delicious, but they also have anti-inflammatory, and they slow aging, and they really protect your brain. So adding the right foods has been proven to protect brain cells. Shawn Stevenson: Yes. Yes, listen. Everybody please hear this, just how powerful food is. Food is medicine, and we're literally talking about the things we're making the physical structure of our brain out of. Right? Your brain isn't made just from the ethers, you know? It actually comes from the food that we eat. And I want to add a point in here, and I've talked about this a couple times on my show recently. In the category of herbs, I guess this is kind of thrown in there even though it's its own kingdom. There's a mushroom called lion's mane, and the University of Malaya has found that this particular mushroom has clinically proven neuroprotective effects. So literally protecting your brain from stress, and it was especially seen to be helpful for people who've had brain injuries. So just think about how great that is to have access to something like that. And I had it today in coffee, alright? I had a mushroom coffee blend. You talk about coffee, I want to ask you about that in a second, but I had this mushroom coffee blend from Four Sigmatic, and it tastes amazing. I had a little MCT oil in there, which you talk about in the book too, and man it was great, and I put a couple drops of like English Toffee Stevia in there to make it taste nice. But that way not only am I super charging and protecting my brain with the lion's mane, but I'm getting these brain benefits from the coffee too. And guys, make sure that you're checking this out. If you're not using Four Sigmatic yet, what are you waiting for? Head over to www.FourSigmatic.com/model and you get 15% off all of their mushroom coffees, mushroom elixirs, mushroom hot cocoas, which Dr. Masley talked about as well. So guys, head over, check them out. Now I want to talk about coffee. We have to talk about coffee because it's one of those controversial things. And you talk about there's a bell curve effect for it in the book. Dr. Steven Masley: Absolutely. So yeah, when people are drinking one to two coffees a day, even decaf- it's not as beneficial, but even decaf has the pigment. The coffee pigments, when we have one to two cups a day, is better for your brain than having none. There's been studies in Europe, in North America, out of New York, in Japan. All over the place, studies have shown having one to two cups per day, if you're a slow metabolizer, that's probably all you should drink. About half the people are. If you're a fast metabolizer you can have a cup or two of coffee, you're not wired. I mean you could do genetic testing but most people have figured it out. Two, three would be okay. Nobody should be drinking a pot of coffee a day. Just too much adrenaline, it's over the top. But I love your point that having coffee in moderation is actually good for our brain and helps slow and prevent cognitive decline. Shawn Stevenson: Yes, and I would imagine that the quality of the coffee matters because you also talk about some of these brain toxins in the book. Shawn Stevenson: So it's not just the random QuikTrip coffee. Dr. Steven Masley: Well coffee actually gets quite a bit of pesticide load, and we know people with high pesticides have 350% more likely to get dementia than people who have low pesticides. And one of the bigger sources of pesticides in the American diet is coffee. I mean animal protein that's not wild and cage-free or pasture raised, and the dirty dozen fruit and vegetables. But coffee is something important to look at for quality. And then I also- there are a small percentage, but some people are really sensitive to coffee mold toxins too. And so the quality of your coffee really does matter, and if you drink coffee, I think it could be good for you. You've got to make sure you're doing a good choice. Shawn Stevenson: Perfect. Now I want to talk about another favorite drink of our culture as well, I want to talk about alcohol. But guys again, this is why I love Four Sigmatic. It's organic, and you don't have to worry about that whole issue, and plus it's dual extracted with the medicinal mushrooms. So they're doing a hot water extract and an alcohol extract. So again, make sure to check them out. Let's talk about alcohol, because that's one- like I was surprised you put this in the book, but it came with some caveats. So let's talk about that. But the truth is, like coffee, people who drink red wine in moderation, one to two, not more than three servings a day, are less likely to have cognitive decline, they have better brain function, they're less likely to get dementia. And even one serving a day even improves blood sugar control. Sadly I've got to say, sadly beer and hard liquor did not- you know, the studies did not really show the same benefit. White wine was not nearly as good as red wine, but there's something about like having a glass or two of red wine with dinner. Again it's partly the flavonoid pigments, partly improves cholesterol profile, but one or two servings of red wine a day, that's a positive one. Shawn Stevenson: Yeah. I know my wife is listening. Dr. Steven Masley: But please, if you can't control it, don't drink it. Dr. Steven Masley: You know you start having a bottle or more a day, I mean who are we kidding? Shawn Stevenson: Yeah because you know somebody who grabbed the book like, 'See? The doctor told me to kick this habit up.' You know? So thank you for clarifying that. It's so brilliant, and again there's a more detailed instruction on these things in the book, and also some more of the science behind it. Because he just covered a lot of different things, a lot of ground in that small amount of time. So now I want to shift gears and talk about another one of these big components that's so overlooked today. And I really feel like I've devoted the last year to really pointing more attention to this, and that's stress. Shawn Stevenson: So let's talk about how stress plays a role in dementia. Dr. Steven Masley: Well when we're stressed out- and I'm not talking about good stress like getting on a show with somebody, or something. That gives a challenge, and I like that. Those kind of short-term things we get to do. But the stress I think of that's harmful is that day after day chronic stress. You know, we're in a bad relationship, or we hate our job, or something's just driving us nuts, and it's all the time. That causes our- when we're stressed out like that, our cortisol levels shoot up really high, and cortisol can literally shrink the memory center of your brain. So you know, what we want is good quality sleep, and we want to work out to burn off some tension. And we need some peace and calm to raise our endorphins. So I like purpose and challenge in our life. So some stress, but we have to proactively manage it by a good workout each day, a good night's sleep, and some peace and calm that we schedule every day and make sure they happen. Shawn Stevenson: Oh wow, that's profound. Stress can literally shrink the memory center in your brain. So this isn't just something to pass off to the side, like we need to pay more attention to this. We actually- we live in probably the most stressful time in human history, but a different type of stress. We're talking about like chronic habitual stress. Not- there were definitely stressful times in human evolution for sure, but it wasn't this chronic, habitual, low-level fever that we're dealing with today that just kind of sneaks up on you, and all of a sudden you have these issues, but it was decades in the making. And so today more than ever we need to have stress management practices, and I would love to hear your input on what would that actually look like? How do we start to better address the stressors in our lives? Dr. Steven Masley: Well I like by starting with getting up and getting a workout in the morning. I think we're designed to get exercise in the morning. You said it before, there's a right time to work out, and that burns off some tension, and we sweat, and we get rid of some toxins. It's just calming and we feel focused to start our day. And then sometime in the day, we want to get super calm. And I was pretty amazed looking at the data. It's not like we have to spend hours meditating. Ten minutes is really- makes a big difference. So if we can get ten minutes of being peace and calm in a meditative state. In my clinic we do- we measure people's ability to get peace and calm. We use a device called Heart Math that looks at their heart rate variability, and is their brain heart concentric and aligned and calm? And a lot of people are trying to meditate and they're just agitated thinking about their problems. That doesn't count. So some people actually should get like Heart Math or something to do with that. So you know, schedule a workout, schedule some peace and calm, and for goodness sakes get a good night's sleep. I mean you should wake up rested. You know, adequate and good quality. I think- I mean we could go into a lot more details on things people could do, but I think if they just do those three things, wow that really has a huge impact. Shawn Stevenson: Absolutely. And I'm so glad you brought up Heart Math. I've been following them, and learning from their institute for probably ten years now, and this was the first place where I really got to understand what's going on as far as our- let me just boil it down to this and let people know- and I've talked about this before on the show. So they have a device called a Magnetoencephalograph, and they can actually measure the bioelectric field that your heart emits, right? And it's like eight feet from our body and it's called the tube torus. And so they were able to see that your body art as us is kind of these sentient beings. We aren't just in our body. We have an energy that kind of radiates from us, which is really weird. Stay with me though. But this gets into the place where we start to understand where we literally are interacting with each other when we're in somebody else's space. And you get these 'vibes,' it's because our energy fields are interacting. And I don't want to get too like up on the unicorn right now, but this is a real thing that we can actually measure. You can actually see this today, and they're just kind of even scratching the surface on what they're able to see. But also their tracking devices, and their research into how we can actually manage our heart rate, and reduce stress is really phenomenal. And again you covered a lot of this information in the book with stress management, so I encourage everybody, make sure that you get yourself a copy. And also I'll let you know about a little bonus once we get towards the end of the show here. So stress, we've got to take action today because this is one of those hidden components that the stress in your life right now can lead to you losing your memory later. Serious business guys, so make sure to listen and pay attention. Okay now brain toxins. This one- again something we don't hear a lot about, so let's talk about some of the things we need to be mindful of as far as brain toxins. Dr. Steven Masley: Well I mean it's actually pretty simple. It's not that hard but I think a lot of people have forgotten things like mercury in fish. Like eating too much tuna fish, having high mercury, and literally poisoning your brain. You know for many people, doing more Paleo and things like that, it comes down to clean protein. I think too often people are like buying sandwich meats, and hot dogs, and where they put nitrosamines on the food to preserve them. So your bacon lasts a lot longer than it would otherwise, but the problem is nitrosamines are neurotoxins. They cause diabetes, they cause insulin resistance, and they injure your brain. So if you're going to eat any animal meats, they need to be clean. Absolutely clean, not sprinkled with magic powder nitrosamines, preservatives that are toxic. So I think pesticides, I mentioned before, that we want- you know or meat if we're eating animal protein, it should be clean like not from a feed lot where they gave them hormones and pesticides. And the dirty dozen for vegetables, and your coffee should be good too. I think- and then if I could add one more, I'd throw in inorganic copper. I think a lot of people would be surprised that if they're taking cheap supplements, they might be putting in inorganic copper which increases your risk for cancer and memory loss, and as well in your house. If you have copper piping, I always recommend we should have reverse osmosis for drinking water in our sink, for what we cook and drink with. You don't need it for the whole house, but at least for our sink we need to make sure we're getting clean water that's not contaminated as well. So those- the brain is really sensitive to toxins, and it's amazing if you just focus on the things I mentioned, how big a difference you can make. Shawn Stevenson: Wow the copper one really threw me for a loop, because that one- again it's like behind the scenes, you maybe never even think about it, and how toxic this inorganic version can be. And also how much you're getting through these crummy supplements that are out there. We have to be mindful of this stuff and pay attention to where we're sourcing the things that we're getting. Shawn Stevenson: And also I highly recommend the same thing, is to get a reverse osmosis system for your house, especially for your drinking water, and I did an entire episode- this was one of the most downloaded shows we've ever done, which was a water and hydration master class. I'll put that in the show notes if you happen to be one of the three people who have not listened to that one, so make sure to check it out after this episode. And wow. So, so good. Now can we talk a little bit about how are you able to track, how are you able to measure folks who come in who are possibly having some cognitive decline? I know that there are tests that are without kind of technology involved, and then there are some technological advances that you have now that you can take a peek in there and look. So let's talk about both of those. Let's start with the stuff that even anybody can do, even without coming in necessarily to see a physician. Dr. Steven Masley: Well there's quizzes out now. There's like simple questions you can ask in going through, and I mean the basic one they use in the hospital is who is the President? What year is it? What city do you live in? That's not good enough. By the time you don't know those things, you're already in deep doodoo. I mean so we want- but there are quizzes we can ask that really will clarify do you have early signs? And that's what we're looking for, is early not late. But in my office, I love doing cognitive testing. Thirty minutes on a computer and measuring your brain's processing speed. It's like what's your computer speed? We don't want a sluggish computer, we don't want a sluggish brain. So- and that's ten to twenty years before someone has memory loss and they're diagnosed with a problem, we can be identifying their brain processing speed. I want people to be quick, and sharp, more productive. So it's great to be able to prevent memory loss in the future, but starting today people can be sharper, quicker, more productive, less forgetful, get more work done, get more stuff done, and we can measure that with simple computerized tools. Even go more complex, we can get into imaging, but now we start- when we talk about functional MRI imaging, or PET scans, we're talking about thousands of dollars. Dr. Steven Masley: So but I think basic stuff is really available out there with quizzes, questionnaires, computerized testing that we can be doing. And even some of the games that are out there like Brain HQ and others, you know these have real applications that allow us to see how we're doing and it's not that hard. Shawn Stevenson: Perfect, and actually this is one of the gifts that you have for the listeners is a quiz that you've actually put together, and everybody can go to www.TheModelHealthShow.com/betterbrain and you can actually be able to take one of his quizzes that he uses with his patients, and it's a pretty cool resource to take advantage of. So pop over there, take the quiz, www.TheModelHealthShow.com/betterbrain. Now with the imaging, this is like you said, like a lot of this stuff even though we have the technology, it's not covered by insurance, and we don't even necessarily need to get to that point if we're being proactive and not reactive with our brain health in the first place. And that's why I would really love for folks to go and take that quiz. Dr. Steven Masley: Your point is really right on. Don't wait until you're in trouble and you've already shrunk your brain. That's too late! Please take steps now. Think about it, how could I get quicker, sharper, more productive, feel better, have more energy? Who wouldn't want a better brain? And how is your brain? I love the idea of a simple two minute quiz, ten questions you can take, get an idea how you're doing. Take the quiz, check out your brain function, but don't wait until you've lost your memory because by then your brain literally is like shrunk from a grape to a raisin and we may never get it all back. Shawn Stevenson: Wow, man this is profound. And when we talked about the brain imaging, the first person that jumped into my mind was Dr. Amen, Dr. Daniel Amen. And you know, he's a friend of the show and he's somebody who endorses your book heavily. Like the review for the book is right here on it. And by the way, that's the new book you have right there for us watching on video. It's gorgeous and this is serious, serious business and knowledge here in this book. And I want to jump back actually and talk a little bit about a stressor that we've touched on, but I want to dive more into this because it's definitely close to my heart personally, and that's the stressor of sleep deprivation. So let's talk about how that plays a role in our cognitive function. Dr. Steven Masley: Well when we're short of sleep, it does several- I mean it messes many things up hormonally. We're more likely to- our blood sugar goes up, and blood sugar is the number one cause for memory loss. That's not good. We're more likely to gain weight, which has other hormonal things that just build in a cycle. But when we're stressed out it's kind of- to me the analogy is we're burning the candle at both ends when we don't get enough sleep. Your cortisol rises and cortisol is one of the hormones that shrinks your memory center. Your testosterone levels drop. Testosterone helps with brain function. It gives us drive and energy, and we make testosterone when we're asleep. So men and women, pay attention. Nobody wants to- it doesn't matter if you're a guy or a woman, if your testosterone drops, you lose drive and energy, not just libido but everything. So I mean there are so many mechanisms that are important physiologically for sleep. I mean you could probably name some more I'm sure, but those are the ones that jump out at me just immediately why sleep is so important. Shawn Stevenson: Absolutely. And I don't think folks realize just how much testosterone is tied to your sleep. It's kind of like when you're up, you're burning that tank out with testosterone. It is only replenished when you go to sleep, and it starts to kind of top the tank off. It's not like other hormones that are really synced up to circadian timing, and so this is where you get that boost for your energy, for lean muscle, all that good stuff. This is why sleep is so valuable for that. But one of the things I wanted to mention was- and this just goes hand-in-hand with what you've been talking about with insulin resistance, this was- it blew my mind. Just a 24 hour sleep debt, right? So that's called a short sleep debt. We see about a 6% reduction in glucose being able to get into the cells of the brain. Specifically 14% of that is from the prefrontal cortex, and this is the part of the brain responsible for like decision making, distinguishing between right and wrong, for social control. That part of your brain starts to starve and obviously that's not good. And then the other part of course that we've been talking about, and I'd love to talk a little bit more about this with you, is this amyloid plaque. Right? And we see the detoxification of the brain is one of the most important factors here. And with sleep deprivation, one of the things we see immediately is an inability of the brain to detoxify itself because that system- and this is the glymphatic system running it, is ten times more active for cleaning your brain. All the metabolic waste products, getting that stuff out is ten times more active when you're asleep than when you're awake. So this is again, serious business. It's not like, 'Oh I'll sleep when I'm dead.' No, you'll just be dead! Alright so get some good sleep. Dr. Steven Masley: Thank you for saying that. Shawn Stevenson: Let's talk about amyloid plaque a little bit. 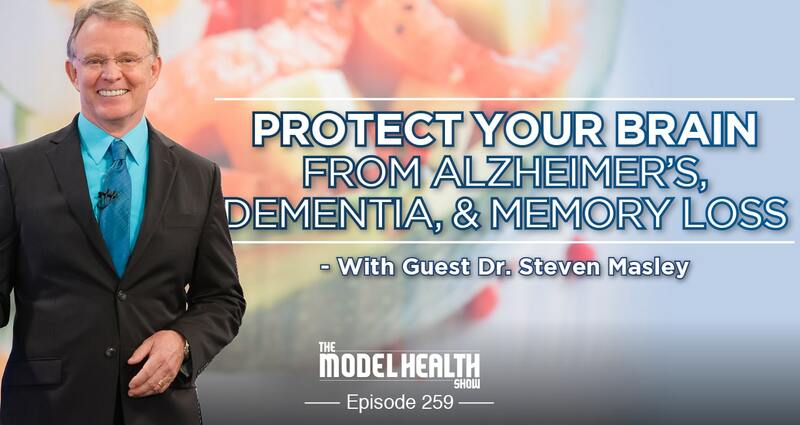 Dr. Steven Masley: So amyloid plaque is this inflammatory sticky protein that forms in our brains in all of us, and we produce it, and we break it down every day. So in some ways it could like help fight off an infection. You know it's sticky inflammatory goo, so you know, it's like protecting our brain, but if we grow more than we want it inflames, it irritates, and damages our brain. Sleep deprivation, we remove amyloid when we're asleep. So if we stay up 24/7 we're going to grow more of this sticky inflammatory protein which is not good for our brain. But here's the real irony I think when it comes back to insulin resistance. We already mentioned that when you eat too many refined carbs, potatoes, bread, flour, sugar, you become insulin resistant and your brain cells can't get- the insulin can't get the energy into the cell and the cell becomes dysfunctional. Here's the second big problem. The same enzyme that removes insulin removes beta amyloid, so if you eat a lot of potatoes, and flour, and sugar, and rice, you're always having to remove insulin and you can't remove beta amyloid, and you grow a lot more beta amyloid, and you end up injuring your brain. So it never occurred to me until this very recent research that we discovered there was this competitive enzyme, and that we're eating all these refined carbs, we're growing a lot more beta amyloid than we should, and that's just catastrophic for America today. That helps explain why 50% of baby boomers and 30% of adults are at risk for accelerated memory loss and Alzheimer's disease. Shawn Stevenson: We can do something about it, and that's what this book is all about. So grateful to have an advance copy, and again I encourage everybody to check this book out ASAP. Take the brain quiz, by the way. I think that'd be really helpful. Now let's talk about- and this is something- I want to wrap with this because this ties into everything. You know? Exercise isn't just good for a six pack, alright? That's like a side effect. 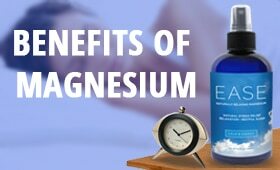 There are so many other important benefits, namely for our brain. And you've got a chapter dedicated to this which is How to Move Your Body for a Better Brain. So the long and short of it, why does exercise matter so much for preventing this cognitive decline? But when you exercise, the frontal lobes of our brain or our temporal lobes- in animals, in sheep, in dogs, in cows, in pigs, that's what they run with. So we took the running part or the motor cortex of the brain, and we converted that to high functioning problem solving part of our brain. I believe we're dependent on a workout so that part of our brain works well, and we know that the best predictor and studies looking at how do you prevent Alzheimer's, it's regular exercise. From the data from my clinic where we looked at 100 markers of what predicts your brain processing speed, and whether you could improve it, or whether it's worsening, fitness was it. And it's two forms of fitness; one aerobic and two is strength training. They were both powerfully influenced whether our brain is getting sharper, or whether we're getting sluggish and it's shrinking. So I mean exercise is probably the most powerful factor that impacts your brain, and it's not about how many minutes you spend, it's about being fit both aerobically and with muscle mass and strength. And that's just so powerful. And yeah, that's why I had to put a whole chapter in, and it's mostly just benefits of exercise. Shawn Stevenson: Exactly. You know, I think we can logically see the connection between what we label as aerobic exercise because of the improvements with the cardiovascular system, what happens with the blood, but you have in here strength training. Lift weights for mental muscle. Lift weights for mental muscle. Bigger muscles, bigger brains. Let's talk a little bit about that and why that matters. Why did you plug that in here? Dr. Steven Masley: Well they've actually shown when we've taken even eighty year olds- here's the cool news, it's never too late. Even when eighty year olds started a strength training program and they did MRI before and after, their brain actually got larger. And part of it is because strength training is really important to reverse insulin resistance. When we expand our muscle mass, we can absorb- it's like a capacitator. We can handle those healthy carbs we should be eating from plant pigments like berries, and cherries, and cocoa, and stuff like that. So we want them but we have to be able to handle them. And when we add more muscle mass, we're able to do that. So we have better blood sugar control, and then you know there's neurotrophic growth factors. When we build muscle mass, somehow that messages the brain for the brain to grow at the same time. So literally when you're lifting weights, you're making not just your biceps bigger, you're making your brain bigger at the same time. Shawn Stevenson: That is profound. Oh, I love that. Pumping iron for your brain, I love it. I love it. So Dr. Masley, this has been incredible enlightening and so many things just point to- you know these are things that we all hear about, but you really put it all together to give us the data and even the studies in the book behind why these things can literally help us to prevent the thing that most people fear the most, which is losing themselves. So losing their memory, not being able to remember who they are, not being able to remember their loved ones by executing on the things you talked about today. Final question I have for you is what is the model that you're here to set with the way that you're living your life personally? What's the model you're here to set for other people with how you live your life? Dr. Steven Masley: I feel so much better when I take care of myself. I get up, I work out each day, I eat healthy food, I meet my nutrient needs, I proactively manage my stress, I avoid brain toxins. I couldn't get everything done if I didn't. You know, it's just a necessity. I feel fantastic. You know, I'm 62, I feel excellent every day. I want other people to feel- my patients feel that way. I want your listeners to feel that way. I think everybody should feel fabulous, we should be loaded with energy, we should be working in our communities. Shawn Stevenson: So awesome, and wow it's just such a great story. You are definitely a model for that already. And as per this getting released, your book is going to be coming out in a few weeks depending on when people listen to this. So can you let folks know when the book is going to be available, where they'll be able to find it? And lastly again everybody, make sure to jump over and take the quiz which you can take now at www.TheModelHealthShow.com/betterbrain. Dr. Steven Masley: Well the book officially comes out and gets mailed January 2nd. But don't wait, take that brain quiz, see how you're doing, get some fun gifts to go with that, and find out how- who doesn't want a better brain? I think all of us want to improve our brain function, be quicker, sharper, more productive, less forgetful. It doesn't matter what your age, or where you're at, we all deserve a better brain. I want to help you get there. I think the first step is take the quiz and see where you're at. Thank you so much for your awesome questions today. This has been really fun. Shawn Stevenson: Oh it's totally my pleasure, and thank you so much for just being a light, and putting this information together. I know it was a labor of love, and wow it's just really profound. And thank you for making this connection for folks, because like you start off in the book, this being a great fear for folks that people aren't talking about, and you giving real clinically proven solutions. It's just game changing, so thank you so much. And everybody, thank you so much for tuning into the show today. I hope you got a lot of value out of this. This is one of the top people in the world in this subject matter, and I wanted to deliver this for you today to get your hands on this information because this epidemic that's taking place is only growing. And again, 400% increase in incidents of Alzheimer's just within- according to the research, 2050, by the year 2050 400% increase. We have to do something about this. This has to change because it's a big economic burden, yes, but this is a big burden on our souls. We need to take care of ourselves, and we need to take care of the people that we care about, and that's why this matters so much. You know, we talked about this on this episode today how stress can literally shrink the memory center in your brain. It's not a joke about you need to make sure you're adhering to some stress management practices, incorporate some things to make you feel good, to help to release this kind of stressful load that we're all carrying around today. You know, we've got- and I talked about this multiple times on the show, but this overall stress load isn't just like when we hear stress, 'Oh I'm not stressed at work.' We tend to think about work stress. There's so much more. We have- and that's put on top of everything. Work stress, we have environmental stress which we talked about today, you know some of these toxins we're exposed to. We have relationship stress, that's another pretty obvious one. We have physical stress, so like exercise is actually a stressor and it's known as something called a hormetic stressor. It's different because this stressor can actually make you better and move you forward if you are allowed to rest and recover from it, which that's another potential stressor is sleep deprivation. So sleep is a stressor potentially, wherever you lie on that spectrum. There's emotional stress, there is nutritional stress, being deficient in certain nutrients, and also there's like even a spiritual stress where we don't really feel like we matter, like we don't feel significant, we don't feel like we're connected, we don't feel like we're on our purpose, you know? And that can be something that's an incredible stressor that's going on behind the scenes for a lot of us. So we need to address these things, and that's what The Model Health Show is about, is having a comprehensive approach to all of these things to have some real world strategies to help get connected to the best version of ourselves, and from that be able to uplift others as well. And I'm so grateful for you being a part of this mission with me, and I promise to keep providing you even more solutions, strategies, insights, the very best experts in the world to really master this thing, and to make the beneficial impact that you're here to make with your incredible life stories. So thank you so much for tuning into this episode today. If you found this helpful, make sure to share this out on social media, share it with your friends and family on Twitter, Instagram, Facebook, and of course you can tag me. I love to see that as well, and let me know that you are tuning in and sharing the show. It means so much. 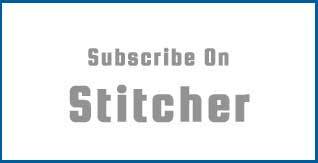 Now we've got some amazing episodes coming up, some mind-blowing guests and show topics, so make sure to stay tuned. Take care, have an amazing day, and I'll talk with you soon. Such a great episode, thanks! This is a little off topic, but you mentioned the energy fields we emit and how these fields interact with each other-any chance you can do a more in depth podcast on this or link me to episodes where you’ve discussed this? Thank you! Hello inspiring health mentor! I’ve been listening to you for about 4 years now since hearing your personal transformation on Extreme Health and knew I had to hear more! So many people don’t believe that we have the power to heal “ourcells”! From Bruce Lipton’s Biology of Belief to the recent episode about healthier Moms, healthier babies! I innately talked about several things she mentioned when I was a teenager and everyone said I was crazy! Having a baby HOW?!! With no support there and no internet, I abandoned those ideas. I wish this support was around then when I had my kids! I just sent this episode to my daughter who recently got married to make sure she is better prepared. P.S. I share so many of your episodes with friends in hopes that they ALL receive this insight. THANK YOU THANK YOU THANK YOU! Hi! I was wondering if there is a specific reverse osmosis water filter system that is recommended. Shawn, do you also agree this is the best way to receive our water? I have been trying to transition from our Brita after discovering the components it leaves behind but have not been sure which system to invest in. Thank you!